The 58th Boys and 50th Girls New Balance English Schools' Cross Country Championship is to take place at Temple Newsam Park on Saturday 17th March 2018. 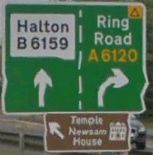 At the next roundabout about 900m on, stay in the left lane towards Halton B6169, this is quite a narrow road and is generally quite busy. Temple Newsam Park is about 1600m down this road. There will be signs and stewards directing you to car parks. 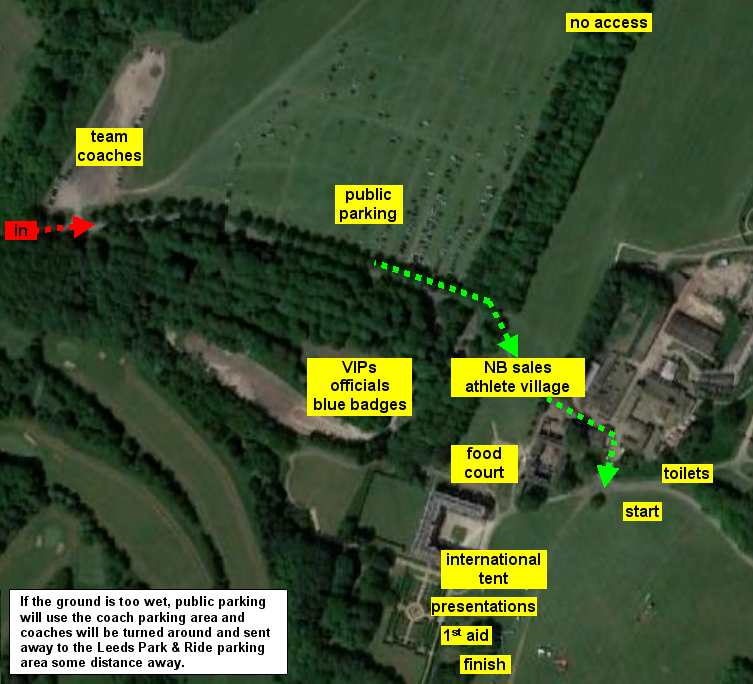 There will be 3 parking areas designated for public parking, team coaches, and VIP/officials/BlueBadges. There will be a parking charge of £8 per car, which will include an event programme. Please ensure that you have the correct money available to help speed entry to the parking area. As you may be aware, Leeds has had a whole load of snow in the last few weeks which has made the the ground conditions on the course very wet and soggy. As at Monday 12th March the going is very heavy in places, and it is recommended that longer spikes be used, perhaps 12-15mm. It is likely that it will not be possible for teams to walk the course to inspect it prior to the races. We will have to try and preserve course conditions. We'll update this information if it changes in the next few days. Updated 16th March The weather forecast is brrr... with strong cold winds bringing maybe only about 20mm of snow...perhaps...no more. This is normal cross country weather in England and the Championships will go ahead as planned. This is your chance to decry the common perception that kids nowadays are deemed to be 'snowflakes'! Turn up. Run. Get cold. Get muddy. Enjoy getting warm again! This is proper cross country. Updated 17th March As at 3pm Saturday, there's no snow in Leeds City Centre. 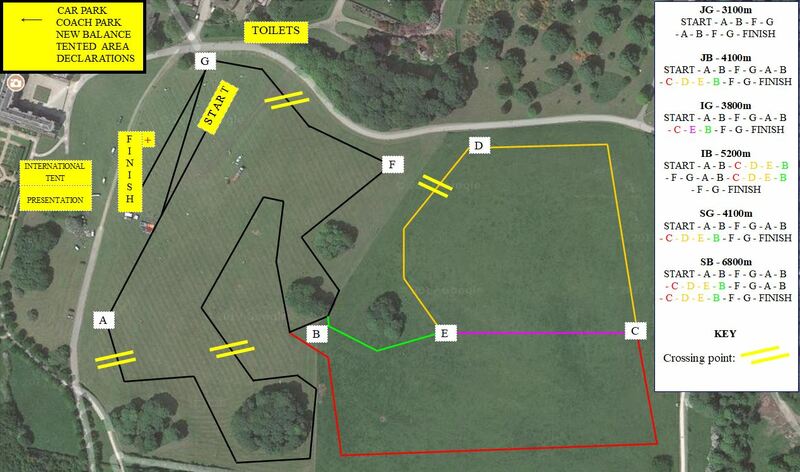 Updated 15th March The fields allocated for public parking are way too wet to use, so the public will now use the area shown designated for coaches. Coaches will need to drop off their teams and will then be turned around and sent to a coach parking area at Elland Road Football Stadium at the South side of Leeds, many miles away. Athletes WILL NOT HAVE access to team coaches during the afternoon. Team managers should obtain the mobile phone number of their coach driver so that they can inform them of when the team needs to be picked up. There will inevitably be delays and traffic jams. Updated 15th March It is now inevitable that athletes will get muddy. Coach drivers really don't appreciate their shiny new coaches getting mucky, so please ensure that you bring enough plastic bags to safely wrap up your muddy kit before you try to get back on your team coach. It is envisaged that the Team Race presentations will take place during the afternoons races. There will be announcements made to keep you aware of the times of the Team Race presentations. Photographs of ESAA events might be published in the athletics press, local media, and on this website. All ESAA photographs are taken in accordance with the guidelines relating to photos in schools published by the Information Commissioner with regard to the Data Protection Act 1998.